One of the winery’s flagship wine, old-vine Cabernet Franc sourced from the Finca Libertad vineyard. Dark ruby-colored, it reveals an impressive bouquet of pain grille, pencil lead, cinnamon, clove, and allspice. On the palate it is medium to full-bodied, savory, and full flavored with notes of cassis and black currant emerging. It is built for the long-term. Enjoy with a hearty meal of grilled meat or steak. Decant before serving. 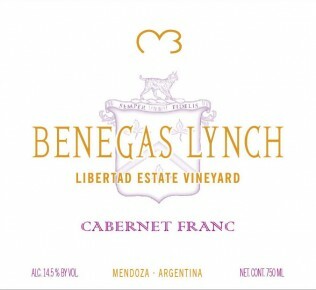 These Cabernet Franc vines were brought into Argentina from France and were planted by Tiburcio Benegas in 1888, which makes them some of the oldest vines in the world. Stony, alluvial soil, combination of clay and gravel favoring water drainage.